Are you looking for an opportunity where you can experience growth and excitement? As we continue to grow and want the right people to be part of our team! MedSmarter is looking to expand with a team of people who share our energy, passion, and understanding of helping future physicians achieve their goals of becoming licensed physicians in the United States. 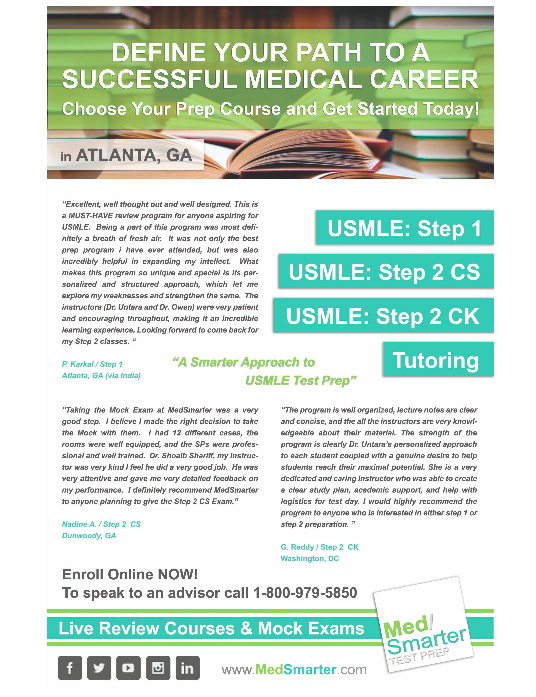 MedSmarter Test Prep is seeking qualified, full-time and part-time USMLE Step 1 & Step 2 CK instructors and Tutors for our Live and Online Review Courses. The ideal candidates are either awaiting for Residency or have decided to forego Residency and have a passion for teaching. Just a few of the great benefits of joining MedSmarter Test Prep as an Instructor are a competitive starting pay, an ideal work schedule, and collaborative work environment. Standardized patient simulation involves the use of individuals trained to portray the roles of patients, family members or others to allow students to practice physical exam skills, history taking skills, communication skills and other exercises. MedSmarter Test Prep holds group interviews for prospective SPs on an as needed basis. We are not able to employ all of the talented individuals who contact us. SPs work on a project basis and may work a few times a year to a few times a month. A Standardized Patient (SP) is a person carefully recruited and trained to take on the characteristics of a real patient thereby affording the student an opportunity to learn and to be evaluated on learned skills in a simulated clinical environment.